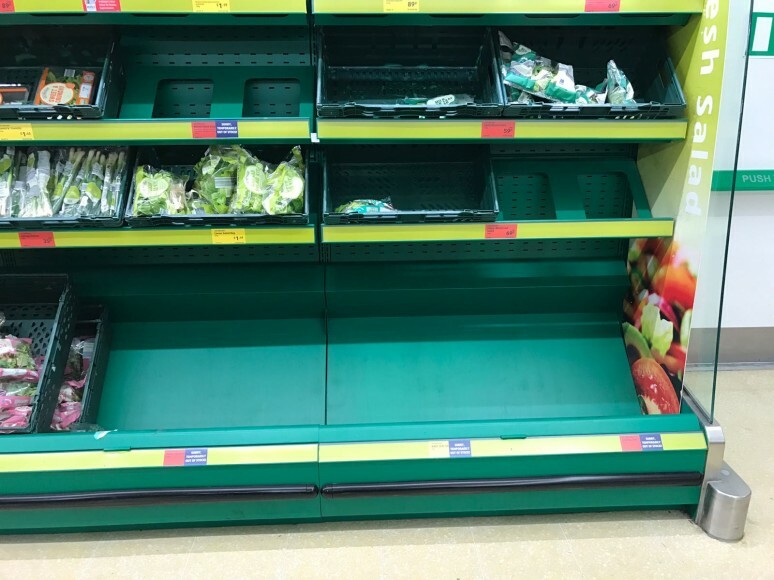 Bosses from Britain’s top retailers have warned of fresh produce shortages and price rises if the government fails to strike a customs deal with the EU. 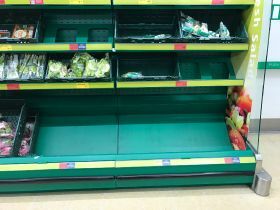 In a letter sent to MPs by the British Retail Consortium (BRC), UK business leaders including Mike Coupe from Sainsbury’s, Roger Burnley from Asda, and Jo Whitfield of the Co-op, warned of “significant disruption in the short term” to British food supply as a result of a no-deal. The heads of popular food outlets Pret a Manger and KFC also signed the statement, with restaurants facing supply gaps from predicted delays at UK borders if Theresa May fails to find a way through parliamentary gridlock. The UK sources nearly one third of all its food from Europe, with that number rising in March during “the hunger gap”, when most UK produce is out of season. According to the statement, 90 per cent of lettuce, 80 per cent of tomatoes, and 70 per cent of soft fruit are supplied from the EU at that time of year. The letter comes one day before parliament is due to debate and vote on amendments to Theresa May’s Brexit deal, shot down earlier this month in the House of Commons. Britain’s fresh produce industry alongside the Freight Transport Association has long warned of serious delays at British borders on goods imports if a no-deal prevents frictionless movement of transport. The BRC’s letter warned that even if the UK imposed zero checks on the border “there will still be major disruption at Calais as the French government has said it will enforce sanitary and customs checks on exports from the EU, which will lead to long delays”. Retail bosses also revealed they were extremely concerned about tariffs greatly increasing the import costs, with any decision to set import tariffs to zero potentially having a “devastating impact on our own farmers”.